Katainen was born in Siilinjärvi, a town in Finland. He graduated from Siilinjärvi Senior High School in 1990. He obtained a Master's degree in political science from the University of Tampere. Jyrki Katainen has two children: Saara (born in 2005) and Veera (2009). In addition to Finnish, Katainen speaks English, French and Swedish. Katainen is an accomplished chef. Katainen became involved in politics after a brief career in teaching. He was a member of the Siilinjärvi municipal council in his first political position, in 1993. He was elected member of the Finnish Parliament (Eduskunta) from the district of Northern Savonia in 1999, served as the vice-chairman of the party in 2001, and became the leader in 2004. From 1990 to 2000, Katainen was Vice President of the Youth of the European Peoples Party. Katainen was elected Vice President of the European People's Party (EPP) for a three-year term in 2006 and won the second election in 2009. In the 2007 parliamentary election, Katainen's National Coalition was placed second. Katainen became the Finance Minister and Deputy Prime Minister in the new cabinet with the Center, the National Coalition, Greens, and the Swedish People's party. As the Finance Minister, Katainen noted that Europe's leaders must do more to prepare voters for “exit strategies” and noted that "it is politically difficult but we have no choice. We have to do painful things in the coming years when economies begin to recover." Following the parliamentary election held on April 17, 2011, Katainen was elected Prime Minister by the new parliament and assumed office on June 22, 2011. His centre-right National Coalition Party became the largest party for the first time in the history of Finland. Following government-forming negotiations, Katainen was elected Prime Minister by the Finnish Parliament, and his government of six parties (National Coalition Party, Social Democratic Party of Finland, Left Alliance (Finland), Green League, Swedish People's Party of Finland and Christian Democrats (Finland) ) was formally appointed by President Tarja Halonen on June 22, 2011. Finland's economic problems were apparent for many, but the government was forced to delay structural reforms because socialist parties in the six-party cabinet were opposed to the new measures. In September 2013 the six-party cabinet laid out plans for reform. However, Katainen warned that the reforms were not sufficient. In November 2012, the government elected not to have Finland to join the team of EU countries that proposed a financial transaction tax. This was a reportedly difficult issue for the six-party government because three of the parties favored the tax. Katainen's views regarding the demise of Nokia may have been controversial in the international arena, however, the company has long been part of Finland's national fabric, making it difficult to view the issue from alternative perspectives. As Prime Minister, Katainen encouraged investment in Finland, in part because of the country’s excellent education system and political stability. He also encouraged the involvement of universities and higher education institutions in civil society in order to increase the country’s competitiveness in the national arena. According to Katainen’s blog there was hope in the future for Finland's economy. For example, he highlighted Google’s investment of about 800 million Euros in Hamina, Russian data center Yandex’s investment in Mäntsälä and Microsoft’s plans for investing about 250 million in Finland. But he noted that Finland was still losing more jobs than those that were being created. In November 2013, Katainen said "Finland needs more direct foreign investment to accelerate the economy and increase growth and employment. The government approved the strategy for attracting national investment last December. The strategy emphasis the ICT sector, including data centres, as a core area." In his position as Prime Minister, Katainen recommended that European leaders rebuild the unity of the European Union because it was undermined by the euro zone debt crisis. Speaking at a Reuters Euro Zone Summit, he noted that mutual resentment between citizens of the northern creditor states and poorer debtor countries may have fuelled euroscepticism and perhaps this may have posed a threat to the 28-nation bloc's unity. Katainen said calls for more European involvement were unpopular at a time when globalization had made people afraid of losing their jobs and lowering their standard of living. The enforcement of overhauled budget discipline rules and the creation of a banking union with a single supervisor and a mechanism to wind up failed banks without making taxpayers pay had achieved the main changes needed to stabilize the euro zone. Asked whether the EU treaty should be changed in the next five years after European Parliament elections in May, Katainen said he was a pragmatist and most of what Europe needed could be achieved by strengthening and extending its internal market. According to Katainen, the key reforms to pensions, labor markets and education needed to keep European countries competitive with the rest of the world and make its social model affordable were in the hands of national governments. Katainen called for a single market in clean technology, noting that Finland was producing third-generation non-food biofuels that could not enter some EU countries because regulation had not kept pace with innovation. To combat eurosceptics in the pan-European election, EU leaders should address issues that are important to voters who support populist political parties. Regarding the recent situation in Ukraine Katainen noted that Finland would not enforce economic sanctions against Russia. He recommended that leaders and citizens remain level headed regarding the situation in Crimea. According to the Prime Minister, sanctions against Russia may negatively impact the Finnish economy. Katainen resigned as the chairman of Finland's National Coalition Party and as the Finnish Prime Minister in June 2014 and was elected as European Commissioner on July 16, 2014. He was later confirmed as Vice-President-designate for jobs, growth, investment and competitiveness in the European Commission. Katainen's new responsibilities as Vice-President are to formulate recommendations to ensure that Member States' economies are on a path of sustainable of growth and job creation, to supervise the Union's common currency (the euro) and to produce the Commission's regular economic forecasts and economic indicators. According to Swedish social democrat Marita Ulvskog, "Katainen's strength is that he comes from a Nordic country, and he understands the importance of strong social partners in the labor market. We cannot solve the (Euro) crisis without social dialogue, and he understands this." Katainen has been assigned the task of finding €300 billion to invest in the growth and economy of the European Union. In a recent interview, the former prime minister of Finland quickly pointed out that "investment is truly a golden thread that weaves together everything that we do - we need to invest in our people, in our partnerships and in our planet". This means not only "giving people the skills they need for the 21st century economy", but also promoting "mobility inside and outside the union, in a way that supports economic growth and social cohesion, protects against external threats and contributes to international development". ↑ Zetterberg, Seppo; et al., eds. (2003). Suomen historian pikkujättiläinen [A Small Giant of the Finnish History] (in Finnish). Helsinki: Werner Söderström Publishing Ltd.
↑ "Katainen villitsi kokoomusväen". Helsingin Sanomat (in Finnish). Sanoma News. 17 April 2011. ↑ "Uusi hallitus nimitettiin". Helsingin Sanomat (in Finnish). Sanoma News. 22 June 2011. 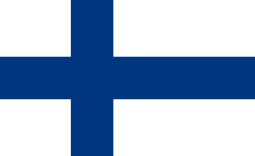 ↑ Heureka Forum: Bold structural changes needed to improve Finland's economy. Government Communications Department 27.8.2013 16.10 Translation. Originally published in Finnish on 26 August 2013.